Elimination During Development and in Neurodegenerative Diseases. Complement-mediated synapse elimination during development and in neurodegenerative diseases. (a) In the developing brain, astrocytes induce the production of C1q in neurons through an unidentified molecular signal (“X”). Neuron and microglia-derived C1q tags weak or superfluous synapses for removal through the classical complement pathway, resulting in C3 cleavage and synaptic C3b deposition. Complement-tagged synapses are removed through phagocytosis by microglia. (b) In the absence of activated complement, synapses remain stable. (c) We propose that complement-mediated synapse elimination drives the development/progression of neurodegenerative diseases. As observed in the developing brain, reactive astrocytes release signal(s) (“X”) that induce C1q production in neurons. 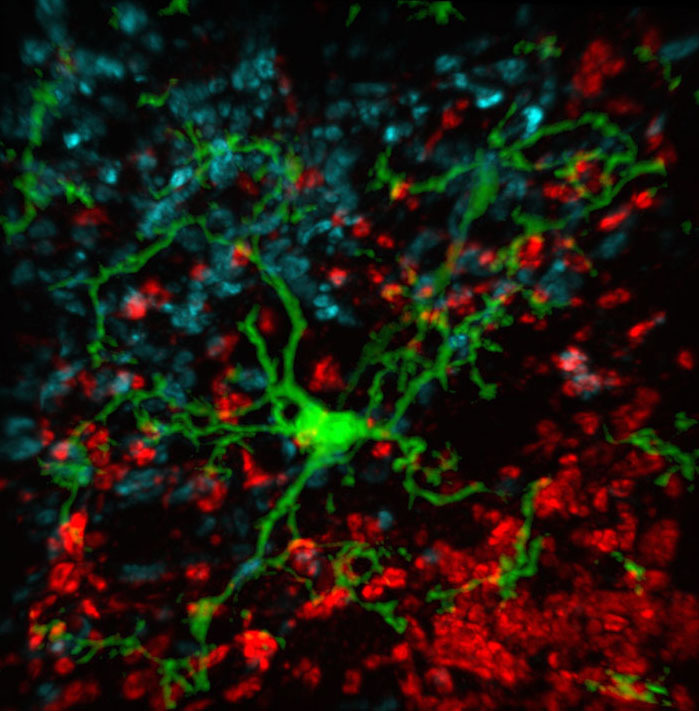 Neuronal and microglia-derived C1q is recruited to synapses; recruitment then triggers the activation of downstream classical complement components, produced in excess by reactive astrocytes (CX), reactive microglia, and neurons, resulting in microglia-mediated synapse elimination. Modified from (Schafer et al., Neuron 2012). Source: (Stephan et al., Annu. Rev. Neurosci. 2012).